It’s fair to say that Christelle Gualdi’s musical training is of the highest pedigree. 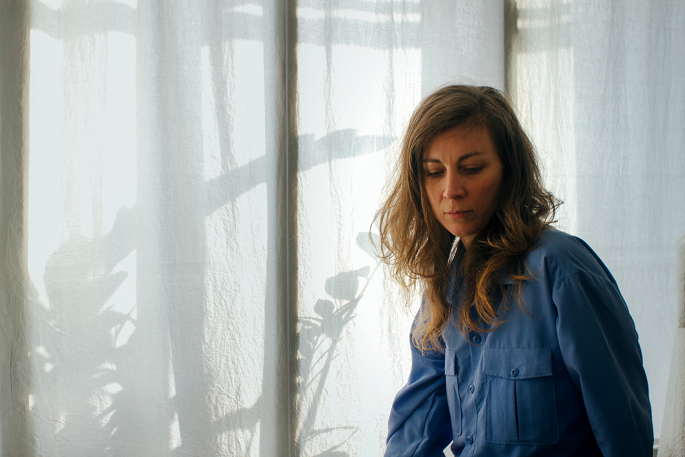 After receiving a classical education as a child, the French producer wound up studying electroacoustic composition at the Paris Conservatoire, where she walked the hallowed halls of Frenchmusique concrete’s most respected institutions, IRCAM and GRM. But Gualdi felt stifled by the weight of tradition and, improvising with synthesisers handed down from her father and inspired by the radical tenets of kosmische music, she set about deprogramming herself. The resultant recordings, released under the name Stellar OM Source, often read like poignant, tape hiss-submerged evocations of some lost utopia – and quickly found common ground with operators like Oneohtrix Point Never, James Ferraro and Emeralds in the US. Gualdi’s rising profile in that scene culminated in an album for Olde English Spelling Bee, 2010’s Trilogy Select. But her increasing involvement with the US underground eventually led to her being deported – a forcible dislocation from which, she says, it took her “months to recover”. Since then Gualdi, now based in Belgium, has mostly kept a low profile. But late last year she made a return, sporting an EP for Rush Hour’s ‘No Label’ imprint and a stark new direction. 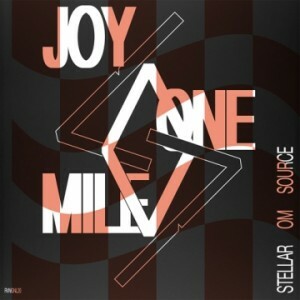 The new sound of Stellar OM Source makes explicit Gualdi’s long-standing love for Detroit techno and electro, reshaping the glistening sonics and intricate rhythms of those styles into labyrinthine, often surprising forms. It’s a sound further expanded on in Joy One Mile, Gualdi’s excellent forthcoming LP for RVNG Intl. The album also marks a first for the staunchly independent Gualdi: the final mix of the tracks was executed by avant-garde house hero Kassem Mosse, whose input, she says, added “clarity” to the recordings. In light of the album, FACT caught up with Gualdi to discuss unlearning through improvisation, coping with deportation and the spiritual potential of the dancefloor. I wanted to start by talking about your training. I understand you studied at the Conservatoire in Paris – composition, wasn’t it? Yeah, electroacoustic composition. It traces back to the late 40s and 50s, in the tradition of Pierre Schaeffer and Pierre Henry. My teacher was the assistant of Luc Ferrari. I did a few things at IRCAM – MIDI interface things – and also a few things at the GRM. I worked on a thing called an Acousmonium - it’s the equivalent of an orchestra but only with loudspeakers. The press release for Joy One Mile mentions that you put yourself through a process of “unlearning” after university. Did you feel the need to escape the training that you’d had? Well I did music most of my childhood. When I was 16 I moved to Germany to play in an orchestra. Then I studied for a couple of years musicology, music theory, in the University in Paris. And I stopped then, because in a way I felt really trapped – I wanted to have another view on what I was doing. So when I studied electroacoustic music, [my intention was] to definitely not work with acoustic instruments. I was always interested in studio techniques, and the electroacoustic composition classes were really – very serious studio techniques, very careful recordings. Everything had to be at the highest resolution possible, we were using these crazy Russian microphones. I wanted to have this knowledge as well, but I found myself, again, trapped in a very strict line of knowledge. So for this unlearning process I found I should do what scared me the most at the time – which was improvising. I picked up instruments I had, which were from my dad. And tried to just work in a very improvisational way, tried to free myself. So that was this unlearning process. When you look back, specifically at your composition training, are there techniques or ways of thinking that you still draw on for your music-making? Definitely. One very important thing is that those composition techniques had to do a lot with space. In the second year we started working with surround systems. And the specialisation of space in the mixing process, the way of arranging certain sounds, details – I’m really into that. Little phrases which cut through, creating surprises. Another thing I’m so grateful for from those studies is listening. We had very long – I would say almost exhausting – listening sessions, where we weren’t allowed even to write down things. It was fantastic, because we were forced to listen. That capacity, and the way you make music after that… I always do that now. Every day, I mostly start by listening to what I did the day before. You mentioned surprises there – listening to the album that’s something that struck me. A lot of the tracks seem to be developing along a certain path and then they take an unexpected turn, or some element will come out of left field. Are those moments quite calculated, or do they come out of improvisation? It comes from my own needs and the way I listen to music. I just don’t want to get bored. I have also this very filmic way of making music. It’s like you set up a scene, and if this thing happens in the scene which is unexpected – this is for me what makes something interesting and rich. Also we are exposed to so much [music] now – you hear something and then you find yourself thinking, ‘Oh yeah I know where it goes [in terms of style]’. Then you scroll through the track and think, ‘Well, that’s what I expected.’ I’m really enjoying making music where you scroll through and think, ‘What? What happened – how did it arrive there?’ I need that, I need those surprises. The album was mixed by Kassem Mosse. How big were the changes that he made? Did he do quite radical things to the tracks, or was he mainly tweaking the sounds? Well making those tracks, I was very close to them – I knew them in every detail. Which is why I needed to work with someone else. So of course when he sent them back, the first demos, I felt they were radical changes. But if you were to play them next to each other, it’s at least 80, 85% [the same]. But he really created space, he really brought clarity to things. It’s almost a mystery to me, exactly what he did. He mostly removed things. Some tracks he changed structure – had sounds coming back when before they didn’t. But yeah, what he did, he did in the most brilliant way. I didn’t imagine it would be like this, and it was just beyond expectations. There was a period a few years ago when you were often compared to artists like Oneohtrix Point Never and Emeralds. Was this affiliation something that came about by chance, or had you guys been trading ideas for a long time? Well we were, we are, friends. I was going to New York a lot, those guys were coming to Europe. If you meet someone and you can refer to the same films and books and music – it felt like a really strong connection. And me and a lot of those guys used similar instruments. It didn’t feel forced at all. I was really doing my thing, and we happened to find resonating interests. I understand you were deported from the US at one point. Did that change your relationship to those guys, when you could no longer visit the US? Of course, yes. We’re still really physical beings, so if you’re not somewhere, if you disappear from your group of friends – the distance is there. I felt really isolated, I guess, at that point. It took me months to recover from it. I was already doing my own thing, but that really forced me to be even more [independent]. Did that influence your decision to start playing around with rhythms, with a different sound? How did your audience change as your live shows became more danceable? Were you playing in clubs more? Yeah. That was one of the biggest joys I could’ve experienced. Because the music I was making in 2007, 8, 9, it was very hard to get the right listening conditions. It was studio music, intimate, and very hard to share with an audience in a live situation. Often, actually, I didn’t feel good about that at all. As soon as I’d brought in more beats I could play louder, and I felt I could immerse myself, and other people, way more in the music. That felt really really good. And the more important thing was the quality of the sound systems. I felt that was where I wanted to be: I needed to play in such conditions. You’ve spoken in the past about your music having a spiritual dimension – that it’s partly about achieving some kind of higher consciousness. Do you see the dancefloor as just another route to achieving a similar goal? Yeah, pretty much. There is something so ritualistic about it. That’s the way I can experience music in a club situation myself – if I hear great music, I can close my eyes and feel really transported somewhere else. And there’s the communion, you know, of people being together in a club. You could say there’s almost something church-like in certain clubs and how people gather. All these things… it’s definitely timeless. And I think it connects us to something much bigger than what we are.